How to Export Industrial and Laboratory Chemicals to Nigeria - Law Firm in Nigeria - Lawyers in Nigeria. 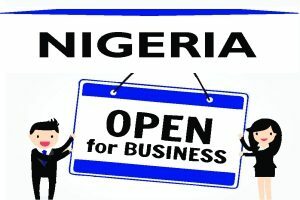 The Lex Artifex Law Office has introduced the Food & Drug (F&D) Helpdesk to assist companies involved in the manufacturing, distribution, exportation, and importation of regulated food and drugs in meeting the requirements set by Nigeria’s National Agency for Food and Drug Administration and Control (“NAFDAC”). This publication gives a snapshot of how to export industrial and laboratory chemicals to Nigeria. As a key requirement to obtaining the license from NAFDAC for the exportation of industrial and laboratory chemicals from overseas into Nigeria, an applicant is required to have a NAFDAC import permit valid in the same year of application. 1. Complete detail of the chemicals, the quantities and the type of use intended for the chemicals. 2. A valid NAFDAC import permit for chemical items. 3. A valid NAFDAC import permit for chemical items indicating quantities of the chemicals imported as endorsed by the Ports Inspection Directorate of NAFDAC (for additional quantities). 4. 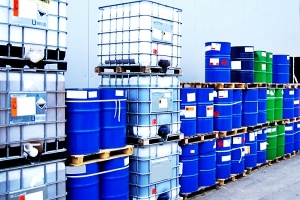 Utilization records of previously imported industrial and laboratory chemicals indicating quantity utilized, sold or disposed and the balance; Evidence of sales such as invoice, receipts, delivery notes/ waybills (applicable for additional quantities). 5. Companies manufacturing NAFDAC regulated products must produce evidence of registration of all their products with the Agency or evidence of commencement of registration (if new manufacturer). 6. Companies importing consumable chemical products that do not undergo further processing (e.g. Brake Fluid, Car Care products, paints, sealant, etc.) must produce a certificate of manufacture and free sale issued by the regulatory authority in the country of origin. 7. A list in tabular form containing names of chemicals with compositions in bracket, Commodity Codes/Harmonized System (HS) codes, and quantities requested. 9. It is to be emphasized that specific chemical names of the items required must be given and it must be same as stated on the MSDS. General name or physical description of the chemicals, e.g. foaming agent, low density chemicals, industrial gases, water softeners, etc. will not be accepted. 10. Companies applying for chemicals that require approval from other government regulatory authorities should attach such letter of approval. E.g. chemicals used for explosives from Ministry of Mines and Steel Development etc. After submission of application, the applicant will receive an acknowledgment from NAFDAC. Lex Artifex LLP will update the applicant on the progress of their application at regular intervals. The applicant shall be required to pay the prescribed fees and professional fees. Upon the approval of the Permit by NAFDAC, the applicant shall receive the Permit. Personnel: A technical officer with scientific background with a minimum qualification of Ordinary National Diploma; OND or its equivalent shall be needed by NAFDAC for the purpose of explaining and discussing the exact chemical nature and use of the items for which application is submitted. The technical officer shall also be responsible for the handling and storage of the chemicals. Timeline: A processing period of fifteen (15) business days from the time of submission of application is required for the completion of the application. However, the 15 days timeline shall be discountenanced where there is a compliance directive from NAFDAC, shall resume when applicant complies and communicate compliance to the NAFDAC. The Permit granted is an authorization for the applicant to import and should, therefore, be obtained before an order is placed or shipped into Nigeria. Additional Permits are issued for new items, not in the current permit or additional quantities for items in current permit. All documents must be in the English language.